I would like to compliment Quandel on a job well done. Hurricane Lee flooded the entire site rendering the facility off-line and totally inoperable. 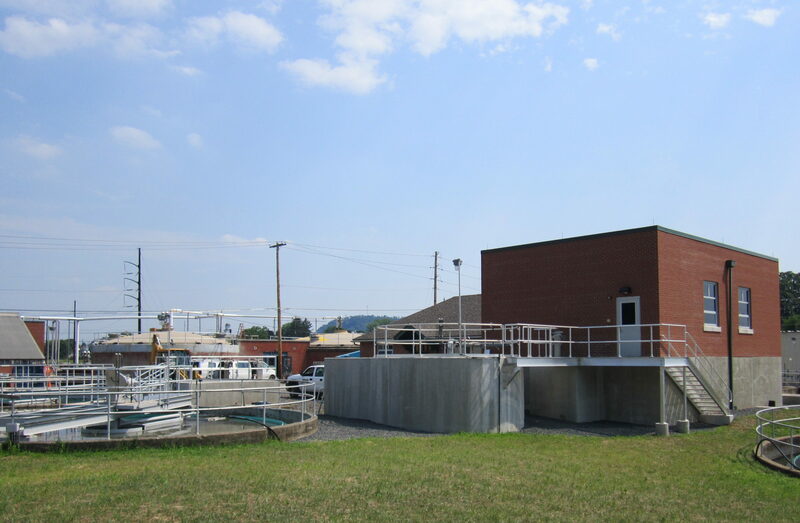 The Danville WWTP was completely rebuilt electrically and mechanically within two weeks and was again compliant by all DEP and EPA standards. This was an astounding feat and could not have been accomplished without the constant presence, passion and commitment of the Quandel team. Quandel met and exceeded all of the owner’s expectations. Actions speak louder than words, and the lasting impression was one of commitment and dedication to a job well done. The entire management from Quandel was easy to work with and made a difficult situation not just bearable but enjoyable. It is with great confidence that I put forward this recommendation for the Quandel Team. 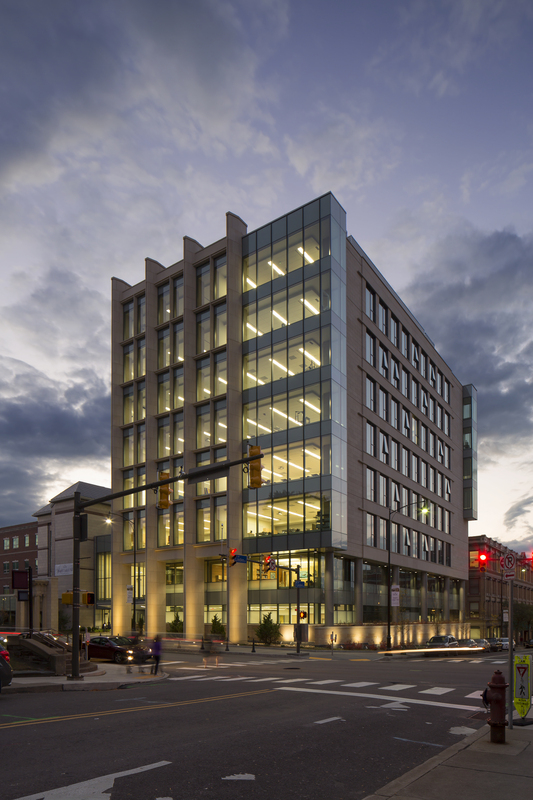 The University of Scranton’s relationship with Quandel Construction Group dates back to 2006 with the construction of the DeNaples Campus Center. Since that time, Quandel has served as the construction manager on Condron Hall, a residence hall building, and the Loyola Science Center. Most recently, Quandel worked with us as the construction manager on Leahy Hall, and 8-story, 116,400 SF building that is our center for rehabilitation education. 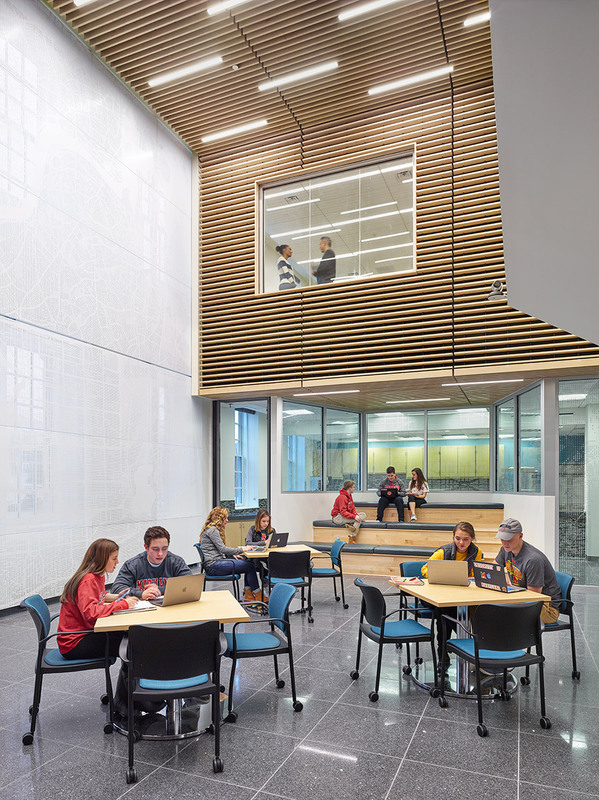 The building was ready for classes on August 24, 2015 and dedicated on September 18, 2015. The building was completed on time and on budget despite a 3-month delay in commencing construction in the fall of 2013. Quandel worked with us throughout the design process to identify savings through value engineering exercises. The company was on board from the beginning of the design process and worked with the architects and engineers, as well as the University, to identify and recommend methods of construction and provide periodic cost estimates. The work allowed us to make informed decisions to keep the project on track and within budget. Quandel provided excellent service and worked well with the subcontractors on all projects. The company is well organized and has very skilled people who manage and supervise the construction process. They keep us well informed of any issues or problems that arise during the construction process and work diligently to maintain the schedule and stay on budget. We believe that the success of our projects and out satisfaction with Quandel is due to the skills, abilities, and knowledge of the project engineers, managers, and on-site supervisors they employ. Quandel is a well-managed company that goes above and beyond what is contractually expected of them to provide a finished product that exceeds our expectations. 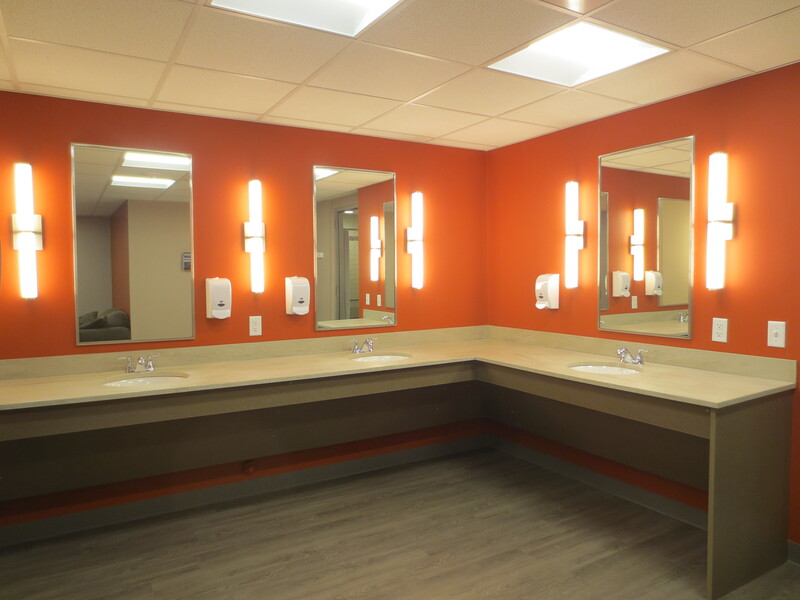 On behalf of the Jewish Community Center of Scranton (JCC), I want to express my gratitude for the incredible performance by Quandel Construction during our recent renovation. Your staff was a true ally and team member to bring a difficult project from the conceptual process through construction. It was comforting to know that when any challenges arose, Quandel was there to address them. As the JCC Executive Director, I needed to rely on a Superintendent who looks out for the interest of the institution but also works to remove the multiple loose ends and questions that can cause confusion, cost overruns and a delay in schedule. For our recent renovation project, I had John Kwiatkowski as the Superintendent. John Kwiatkowski not only was extremely knowledgeable, very professional but always had a kind word to say to everyone. His excellent communication skills kept everyone informed of all aspects of the project. All in all, Quandel utilized excellent project management skills to ensure we were pleased with the end result of our renovation. Your staff was diligent and straightforward on all issues which aided my Building Committee and I to make decisions to keep the project moving forward. I would definitely consider Quandel for future JCC projects! “I am writing to say how pleased the occupants are with their new space in HJ Patterson Hall, and that I believe much of the credit goes to J. Vinton Schafer & Sons. They started with what was a very dark and dreary space and transformed it into a group of modern, light-filled spaces that are welcoming to all who enter the building and very functional for those who work there. JVS was wonderful to work with and went out of their way to ensure the end users had a voice at the table during construction. If they saw something in the construction documents which they thought might not serve us well in the end, they were very good about questioning it before proceeding. The University can be a bureaucratic challenge to work with, but JVS was very good about abiding by all of our policies and procedures while still keeping all interested parties involved. They’ve also been very good with follow-up on things which have come up after substantial completion. It’s been very reassuring to know they don’t completely disappear once the occupants have moved in. 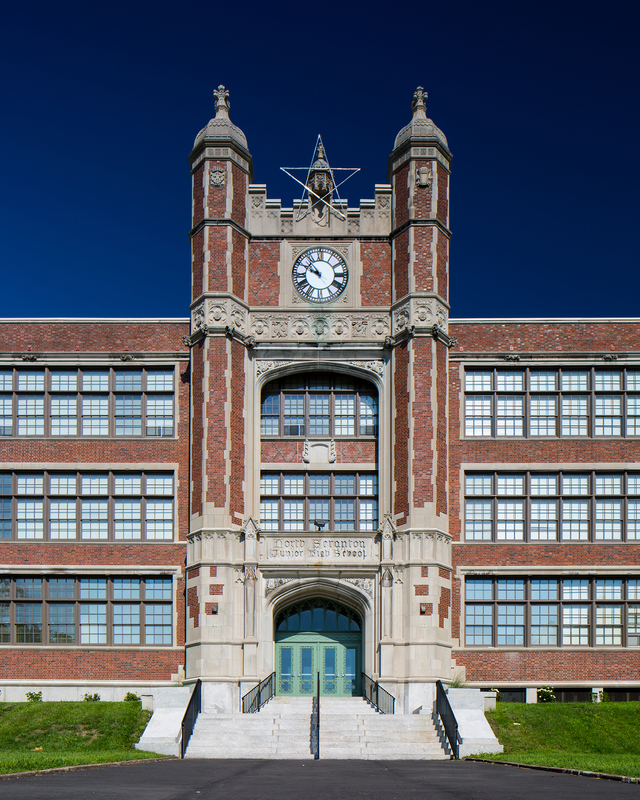 “One of Goodwill Industries of Northeastern Pennsylvania’s largest projects so far has been the renovation of the former North Scranton Junior High School. Throughout that process, Quandel Construction Group proved to be a vital asset and partner by managing and supervising the site for the length of the restorations. The building has been revamped into an apartment complex featuring 58 housing units for senior tenants, as well as a community theater. Quandel worked with us throughout the construction process, and provided us with periodic cost estimates. The project features a number of historical preservations, including restored woodworking and marble; Quandel was particularly attentive and flexible with regard to these unique elements, and proved to be a reliable source of input and recommendations. Quandel also worked very well with the numerous parties and organizations attached to such a large community project, and they readily kept us informed of any issues that arose on site during the construction and renovation process. Their employees are well-organized and highly skilled, and we found their expertise to be an integral part to the success of our project.